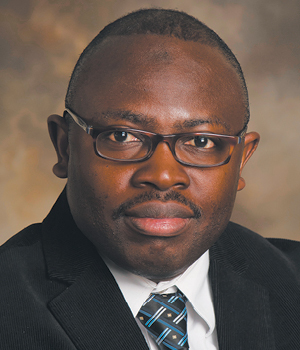 Winship medical oncologist Taofeek Owonikoko is one of 13 recipients of the 2016 National Cancer Institute Clinical Investigator Team Leadership Award. The prestigious award recognizes and supports outstanding mid-career clinical investigators at NCI-designated cancer centers who are significantly engaged in NCI-funded multi-center clinical trials. Owonikoko receives the award for his leadership of innovative work in lung cancer, thyroid cancer, and other aerodigestive-tract cancers. The award supports Owonikoko's ongoing work in clinical trials, including his leadership on two investigator-initiated trials that promote patient access to novel therapies.